These free Kellogg's Family Rewards codes will help you fill your mailbox with free stuff that you use your points to redeem. This includes free gift cards, toys, free photo books, and all kinds of other items. The Kellogg's Family Rewards program encourages you to purchase Kellogg's products and enter the codes into their website. They also frequently release free codes that I've gathered up here into a list so you can easily enter them and rack up the points. Here's a list of current and valid Kellogg's Family Rewards codes as of December. These are completely free codes, no purchase necessary. 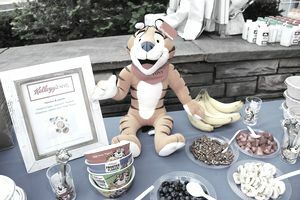 You can enter your Kellogg's Family Rewards codes on their desktop website, mobile website, or by text message. Just look for the box that says "Enter 16-digit code here". You can redeem your Kellogg's Family Rewards points on free stuff, coupons, sweepstakes, and charities. The freebies you can get changes frequently but they always seem to have something good. The last time I visited they had gift cards to places like Starbucks and Lowe's, free photo books, Redbox codes, books, magazine subscriptions, games, and much more.